A Word from the Guise: This movie makes me really angry. 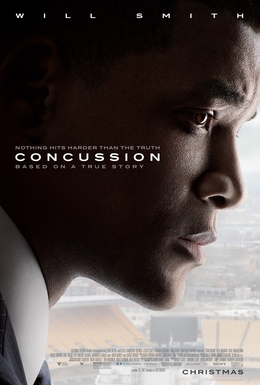 I love it, it’s a great movie, and Will Smith is incredible, but all the football fanatics in it are infuriating. Dr. Omalu makes an important discovery in the neurological health of football players, and a bunch of football executives deny him, threaten him, and attempt to discredit him. None of them care whatsoever about the health and safety of their players, because they’re worried that it’s going to jeopardize their ratings. I don’t give a lick about sports, and I think that athletes get paid far too much money, but it saddens me nonetheless that so many of them suffering from CTE were being pushed by the wayside, not getting the care that they needed. It’s disgraceful.